The Outreach Committee of St. John’s is entrusted by the congregation to disperse funds to those people and organizations that compassionately attempt to meet the physical and spiritual needs of our local community—and beyond. 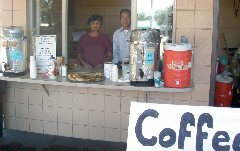 Funds for Outreach are raised by individual contributions at the Thanks & Birthday Offerings during regular Sunday services, using local Thriftway store Rewards cards, and the annual Rest Stop fundraiser (providing coffee and pastries to weary travelers on the interstate). We welcome visitors, suggestions for donations, and new members! For information, contact Sherry Sullivan at sherrysullivan08@gmail.com.